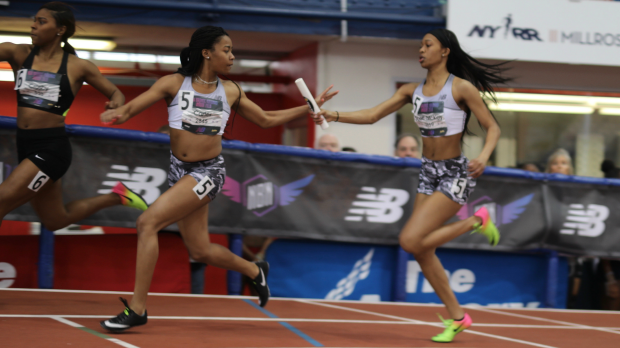 The quartet of Kori Carter, Tre'Breh Scott-McKoy, Brene' Donaldson, and Asia Crocker may not have won a third 4x200m relay in a row but they did break the state record for a third year in a row. They finished second in 1:36.35. That goes along with their national record in the Mixed 4x400 which featured Carter and Scott-McKoy and their boys' 4x200 victory. That 4x200 victory made it four years in a row that Virginia has won the event on the guys' side and the third year in a row that Nansemond River, Team War, has won the event as a program.